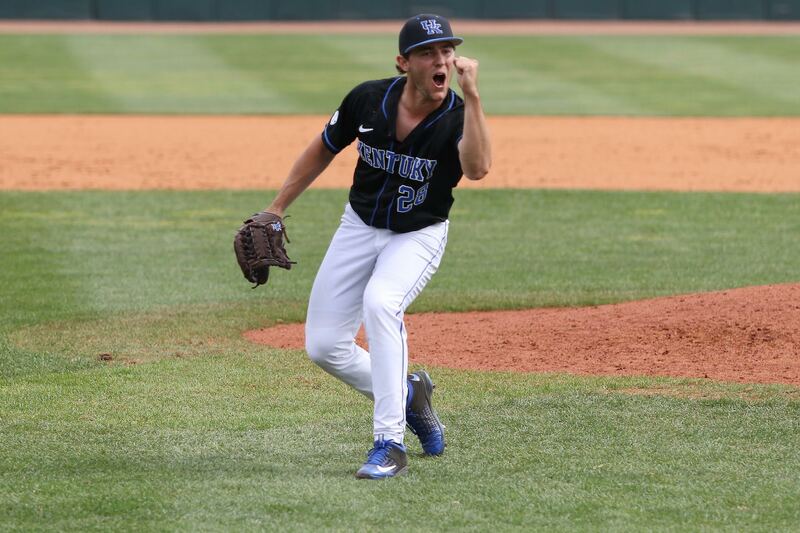 LEXINGTON, Ky. – Logan Salow is the Southeastern Conference Pitcher of the Week after saving all three of Kentucky’s victories last week, it was announced Monday by the league office. Salow’s honor makes it two consecutive weeks the Wildcats have taken home SEC Pitcher of the Week, joining teammate Sean Hjelle in going back-to-back. The 6-foot-1, 185-pound senior has been untouchable in his last seven outings, not allowing a baserunner in 8.0 innings pitched. He has retired 24 consecutive hitters – 17 coming via strikeout – and earned five saves in that time, including three in the Cats’ 5-1 start to conference play. Last week he shut down a 4-3 win at Western Kentucky on Tuesday night, closed Friday’s 4-2 win over Ole Miss with a six-out save and came back to record the final three outs of Saturday’s 4-1 series-clinching win. The Ashland, Ky. Native has been dominant for the Cats this season, not allowing an earned run in 13 appearances with six saves. In 19 innings, the left-hander has struck out 28, given up nine hits, walked just five batters and allowed a paltry .143 batting average against as the Cats’ bullpen ace. He also now ranks tied for seventh on UK’s all-time career appearances list and needs just five more to leapfrog into fourth.